Animal welfare warriors shouldn’t forget The Humane Society's 24th annual Genesis Awards this Saturday, March 20. 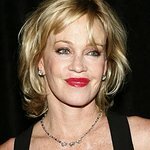 This year will see Melanie Griffith present a lifetime achievement award to her mother, 80-year-old Tippi Hedren, for dedicating the last 40 years to the protection of animals and raising awareness of the exotic pet trade. “Tippi is an extraordinary woman – both a hands-on caregiver to 63 discarded big cats at the Shambala Preserve, as well as a tireless activist who continues to work in support of federal legislation that would ban the breeding of and the trade in exotic animals in the U.S.,” said Beverly Kaskey, senior director of the Hollywood office of The Humane Society of the United States and executive producer of the annual Genesis Awards. This year’s event will see a plethora of presenters take to the stage to honor their peers for animal welfare work, including Kristen Bell, Pierce Brosnan, Emily Deschanel, Jon Lovitz, Ginnifer Goodwin, Teri Hatcher, Tricia Helfer, Carrie Ann Inaba, Maria Menounos and many more. The honorary committee includes last year’s Genesis Award winners Ellen DeGeneres and Portia de Rossi, as well as Harrison Ford, Corey Feldman, Jorja Fox, Kellan Lutz, Moby, Viggo Mortensen, Esai Morales, Joe Mantegna, Kevin Nealon, Hayden Panettiere, William Baldwin, Alicia Silverstone, Lily Tomlin, Eric Roberts and more. 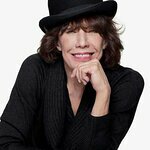 The Awards will take place this Saturday at the Beverly Hilton. To read last year’s winners, click here. Tickets for the event start at $350 individually and go up to $50,000 for a ten-person table. More information on the Genesis Awards can be found here.